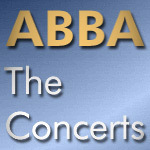 This fan site tries to collect what is known about ABBA’s live performances: basic facts, trivia, links to press articles or fan reviews. An important aspect are relevant statements by the ABBA members, also information about recordings and published material. However, although one goal is to provide an overview about the fan recordings, please note that you cannot download any recordings here, this site is for information only. Only information about collaborations of the four ABBA members as a group is included here, i.e. activities as solo artists or members of other formations aren’t a topic here. The work is constantly in progress and new content will be added all the time (see Changelog). Several sources still need to be checked for interesting material and will be included when time allows. Information regarding individual concerts is listed on the page for the particular venue. More general material which covers a wider part or even the complete tour is listed on the main page of a tour. As you may notice while reading through this site some fans thankfully were very kind to support me with their memories or newspaper snippets. I appreciate this help very much because such information can’t be found online. So if you can support this project in any way, don’t hesitate to contact me. Specific information is linked directly on the respective sub-pages of this site. Additional information and pictures (tickets for example) were picked up at numerous fan sites, forums, online auctions or other sites over the years long before this site was even considered to be created. Not all origins can be remembered or traced anymore and the original source for things often cannot be identified anyway. Please excuse, if some sources aren’t mentioned here. Other sources are books and TV documentaries. However, much specific information for individual venues can only be found by extensive web research. You will find these sources on the page for the related venue. I try to check the links from time to time, but I cannot garantuee their availability. The pictures and links used on this site are included just for basic illustration of each venue. This is a fan site where no money is made by the webmaster whatsoever and pictures and anything else is purely for fun, documentation and information.